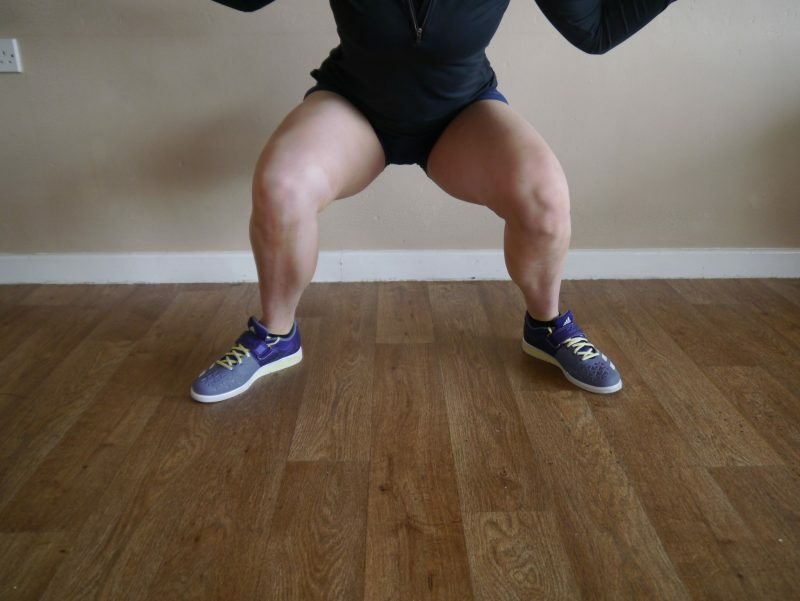 Squatting – knees over toes? Squatting – should your knees go over toes? You often hear therapists, coaches and the know-it all gym goer telling individuals to not let their knees go over their toes as it puts greater pressure on the knee joint. Can our body handle it? A study in 2003 looked at how joint torques at the knees and hips change when restricting the knee from travelling forward during a squat. It was found that limiting forward knee movement put greater stress on the hips and lower back, with a hip torque increase of 1070%. This is potentially more dang erous at the spine as this alteration causes a huge amount of work for the smaller back muscles to perform. And so it is better to allow the knees over toes i.e. an increase in knee stress, as the knee and musculature can handle this well. Furthermore, in order to reach full depth the knees have to move forwards past the toes. A good example of this is Olympic weightlifters who perform squats at high loads with their knees past their toes. You will also notice a difference in positioning of the knees/hip/back depending on the type of squat i.e. front squat, box squat, high bar back squat and low bar back squat. 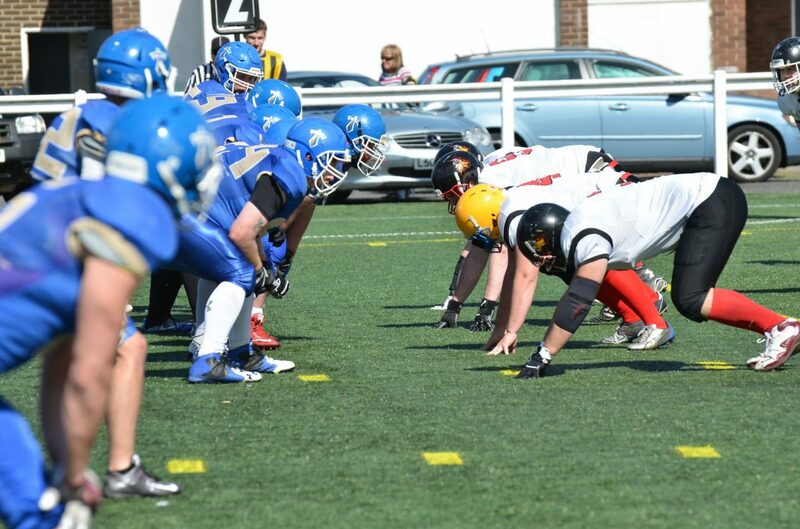 One key thing to watch is that the knees do not move inwards and outwards, or risk injury. Valgus (inwards) stress on the knee has been linked to ACL and other soft tissue injuries. The knees should move in line with the feet. This is vital to ensure efficient force transmission through the knee joint and avoid injury. Avoid the knees falling in towards the mid-line of the body. There is no need to restrict forward knee movement when squatting. However it would be a good idea to limit extreme forward movement to prevent strain on the patella tendon. It’s also a good idea to limit this movement in those who are currently suffering from anterior knee pain, i.e. put less pressure through the knee to encourage pain-free squatting. For those suffering with anterior knee pain try squatting with a more vertical shin position. Exercises that encourage this are box squats and the low bar back squat. 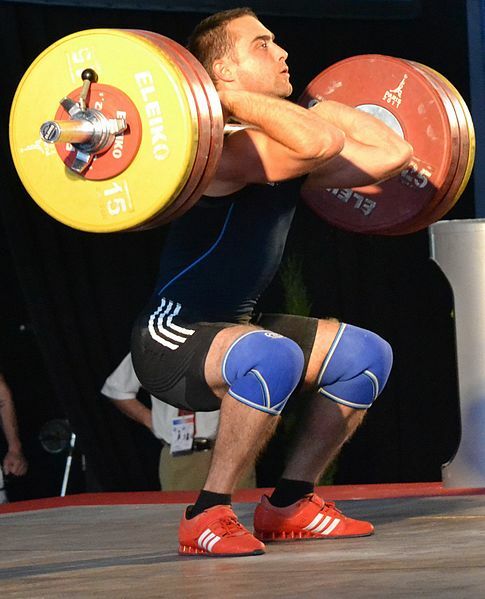 Read here why squatting is so important to your athletic performance. Schoenfeld, B.J., 2010. Squatting kinematics and kinetics and their application to exercise performance. The Journal of Strength & Conditioning Research, 24(12), pp.3497-3506. Fry, A.C., Smith, J.C. and Schilling, B.K., 2003. Effect of knee position on hip and knee torques during the barbell squat. The Journal of Strength & Conditioning Research, 17(4), pp.629-633. Swinton, P.A., Lloyd, R., Keogh, J.W., Agouris, I. and Stewart, A.D., 2012. A biomechanical comparison of the traditional squat, powerlifting squat, and box squat. The Journal of Strength & Conditioning Research, 26(7), pp.1805-1816.